From its distinctive look to class-leading performance, we have stopped at nothing to create the new standard in heavy duty scooters. 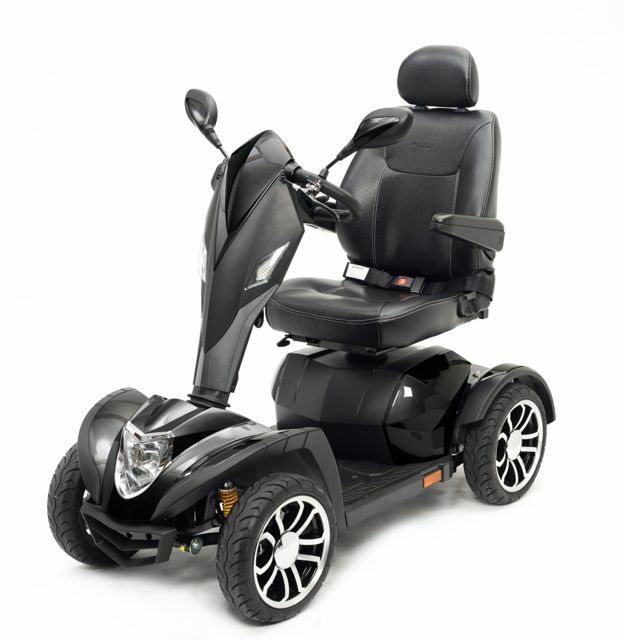 The Cobra GT4 boasts a dynamic, modern design and incorporates cutting edge technological advancements to provide the most attractive, highest performance scooter available. 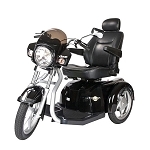 In addition, the Cobra provides maximum comfort with a smooth, stable ride and a deluxe Captain's Seat with a width of 22". Experience a new age in scooter design with the Cobra GT4. 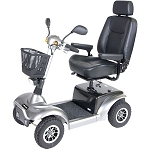 Actual Product Weight: 340 lbs; Anti Tip Wheels: Yes; Base Weight: 191 lbs; Batteries: 2 - 12V 75AH; Battery Weight: 94 lbs; Brakes: Electromagnetic; Charger: Offboard, 5A; Climbing Angle: 8 degrees; Controller: Dynamic Rhino II 160A; Front Wheels: 14" x 4" Pneumatic; Ground Clearance: 7"; Max Speed: 10 mph; Maximum Range: 35 miles; Motor: 24V x 950W x 5200rpm; Overall Product Height: 53"; Overall Product Length: 63"; Overall Product Width: 29"; Primary Product Color: Grey; Primary Product Material: Steel; Product Weight Capacity: 450 lbs; Rear Wheels: 14" x 4" Pneumatic; Seat Depth: 20"; Seat Weight: 55 lbs; Seat Width: 22"; Seat to Floor Height: 27"-30"; Turning Radius: 82"